One of the main reasons our property markets are performing so differently in our various States is because of the state of their local economies. All States enjoy the same low interest rates, but local factors including supply and demand, but in particular the health of the local economy, is a major driver of our property markets. The largest state economies, and particularly their capital cities, are Australia’s best performers, led mainly by a recovery in residential construction. The weight of falling commodity prices and falling resources investment, in contrast, is dampening more than just the mining sectors in Western Australia, Queensland and the Northern Territory. Sydney and Melbourne have been prime beneficiaries of a wave of capital, strong investor activity in residential property and a housing supply shortage. Tasmania also joins the jurisdictions that are benefiting from low interest rates, the weaker currency and pockets of public investment. Although these forces are broad they lack grunt, especially against the backdrop of weak consumer and business confidence and structural challenges such as the aging population and international competition. The positive developments are also competing against further commodity price declines, which have pressured existing mining and energy projects, depleted hopes of new exploration and downgraded the outlook for company profits, wages, and government revenues. 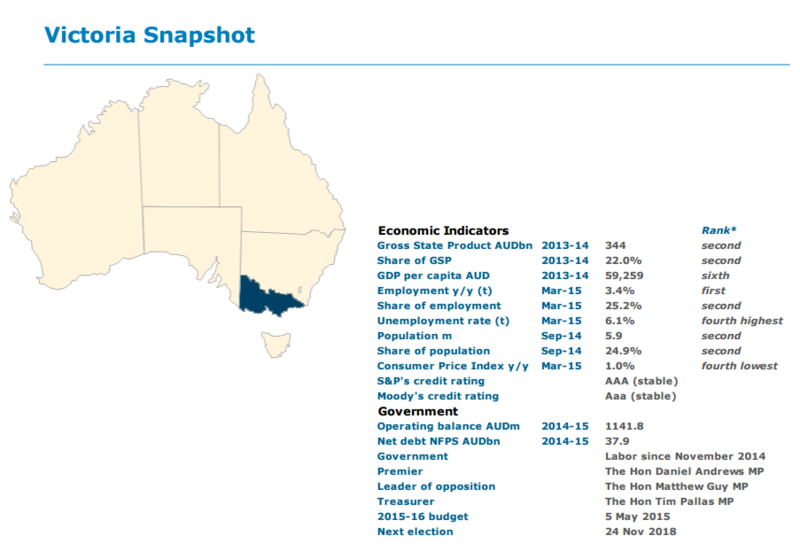 Western Australia, Queensland, the Northern Territory and to some extent South Australia are feeling the impact most, through their income channels, while their volume indicators continue to grow solidly due to expanded capacity and export opportunity. 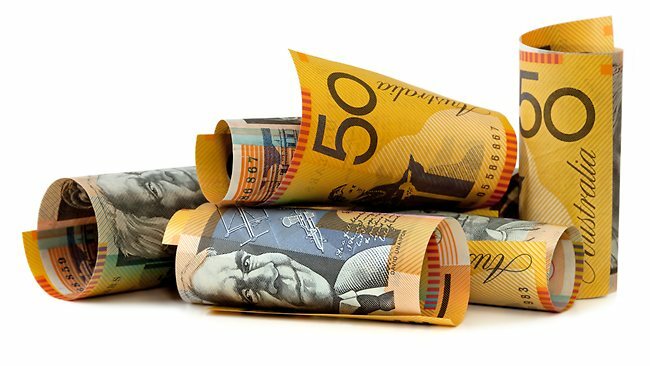 The economies that are most insulated from the resources sectors, particular Victoria’s and Tasmania’s, have been the most resilient in recent months. Uncertainty around the global economic outlook and fiscal consolidation amid political turbulence are also factors weighing on all jurisdictions. In Queensland, the government, and so public policy direction, unexpectedly changed in January. 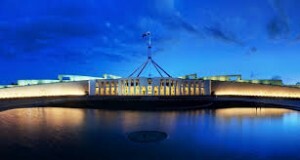 For the Australian Capital Territory, the cut backs in Commonwealth government spending are impacting growth particularly severely. With workers, immigrants and their families following the shifting economic fortunes, population growth rates neatly encapsulate recent state and territory economic stories (Figure 1). 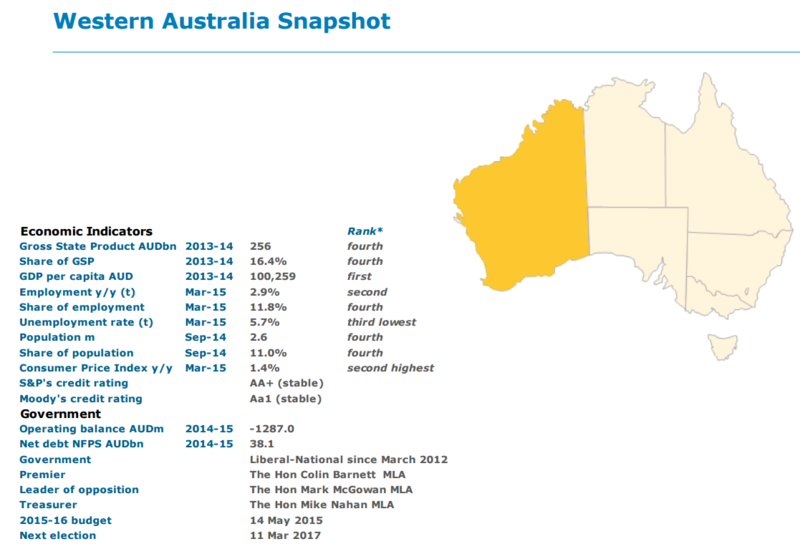 Population growth rates in New South Wales, Victoria and Tasmania have been rising while South Australia’s is flat. 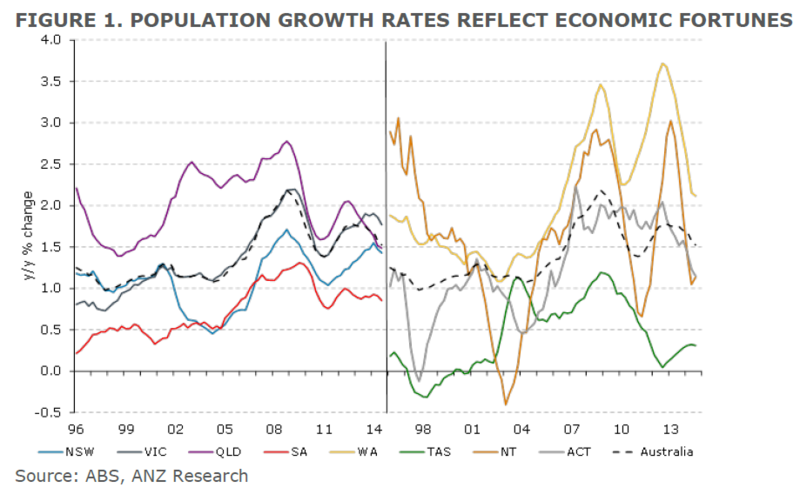 Population growth rates have been falling in Western Australia, Queensland, the Northern Territory and the Australian Capital Territory. 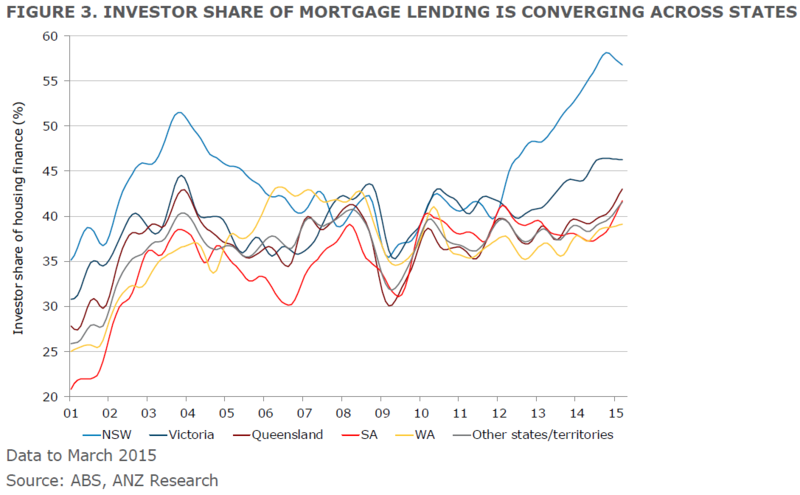 Are investors driving desynchronised housing markets? Supported by the weight of capital, strong investor appetite for residential property and solid underlying housing market supply-demand fundamentals, the housing sector continues to be a bright spot for the economy. Residential property prices and housing construction are posting solid growth, led by areas that are attracting the largest share of foreign investor capital such as Sydney and Melbourne. However, outside of these markets housing sales, prices and construction are seeing more subdued cycles with the housing market in these regions reflecting broader softness in economic conditions. Foreign investment in Australian housing – which increased around 2.5 times in 2013-14 to an annualised level of AUD26bn. This increase has largely driven growth in new housing construction, some proportion of which is being made available for domestic owner-occupation, and despite common perceptions that foreign investors are driving strong price growth, the counterfactual would suggest otherwise. 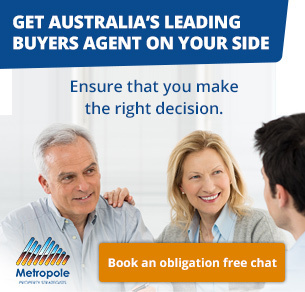 Without foreign investment, Australian new housing supply would likely be around 20-30,000 dwellings per year less than current levels, adding upward price pressure from population growth on the existing housing stock. Home building cycles across states and territories have desynchronised over the past six months, with the current cyclical upturn at the national level primarily reflecting strong housing construction growth in Sydney, Melbourne and Brisbane, particularly for high-rise apartments. Despite concerns of excess housing supply in some parts of the market, in particular in inner-Melbourne CBD, housing construction in NSW, Victoria and Queensland are at levels that are sufficient for underlying housing demand, following around 10 years of underbuilding. 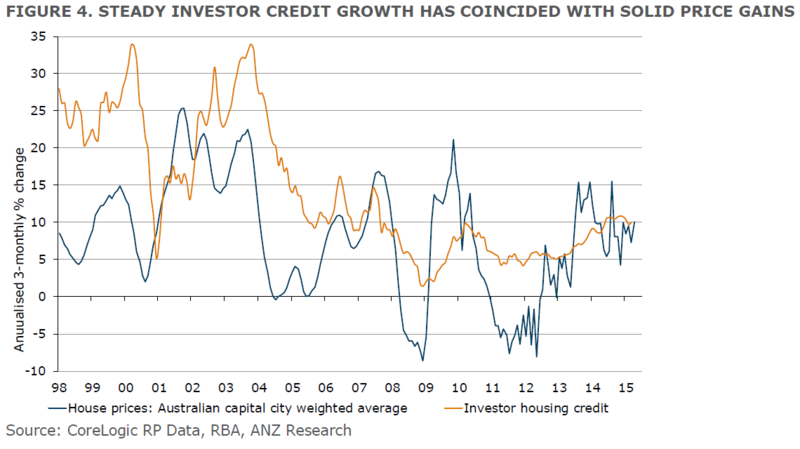 Housing investor policy –Housing investor lending has increased sharply over the past two years, particularly in NSW, raising the concern of the RBA and APRA about the potential for investors and lenders to overexpose themselves to the risk of higher interest rates and/or lower home prices.In December 2014, APRA announced lending targets to reinforce lending standards and offset the potential for these risks to materialise.In addition, the Murray Review has recommended winding back the use of self-managed super funds to invest in leveraged housing.However, growth in investor housing credit at the national level has stabilised in recent months and remains largely within an appropriate range compared to recent history and APRA targets, with most of the impact from these policy measures still to come. 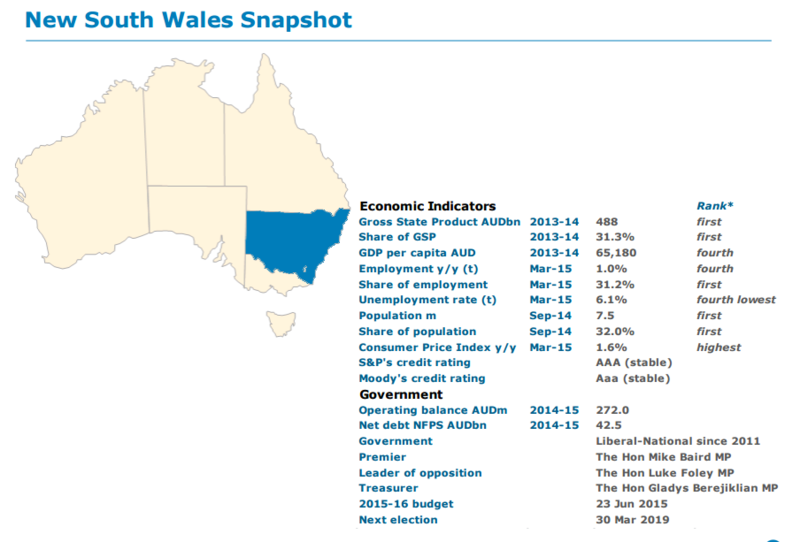 The New South Wales economy is likely to outperform over the next couple of years relative to its weak track record since the early 2000s. So far, Sydney’s economy has strengthened more than regional areas, particularly mining and surrounding areas. As discussed, one of the main drivers of the positive NSW outlook is the housing market helped by price growth and new housing construction especially in Sydney. Low interest rates will also assist. The outlook for housing markets in regional NSW expected to remain more subdued, particularly in the mining and surrounding regions. Victoria’s economic data have been picking up in line with its northern neighbour after a couple of years of weak economic growth. Residential building is hitting new all-time highs, led by a strong pipeline of planned apartment construction in inner-Melbourne. It is supported by strong foreign investor demand. In addition, solid population growth is driving underlying demand from owner-occupiers and tight rental markets are attracting investor sales. Business investment has been subdued, but Victoria is avoiding the direct burden of a sharp downturn in mining-related construction. Queensland economic growth is likely to record a second soft year with resources investment falling as LNG plant construction winds down. While gross state product growth will pick up in 2015-16, that will reflect the first LNG exports and is not indicative of job-creating economic activity. Tourism and international education is proving to be an area of strength for this jurisdiction (and for others) as the AUD has depreciated. 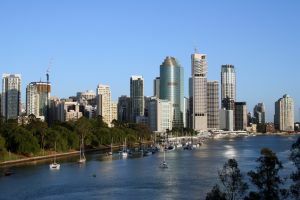 Queensland’s housing market has softened in recent months, with Brisbane housing price growth slowing sharply and price growth in the rest of the state remaining soft. A solid pipeline of higher-density housing construction is expected to ease underlying supply-demand price pressure in the near-term with annual price growth in Brisbane likely to remain in the 3-6% range through 2015. Nonetheless, favourable housing affordability (compared to Sydney in particular) is expected to support housing demand in Queensland provided economic and employment conditions improve. 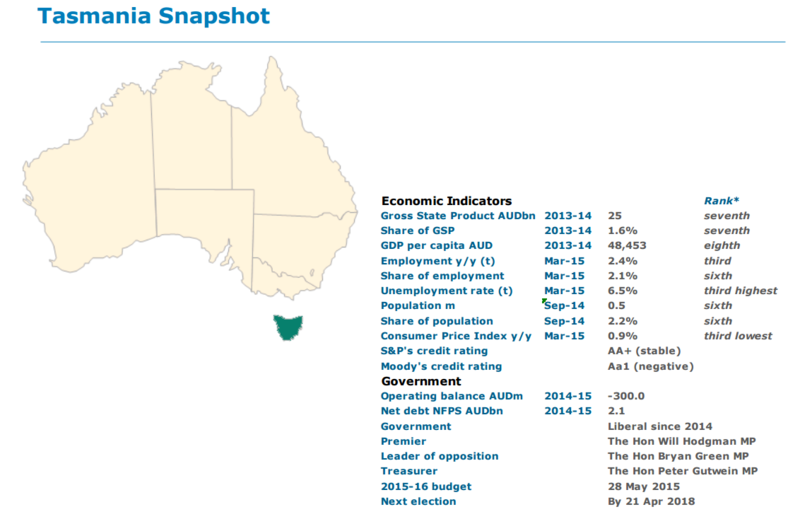 Western Australia will likely post a gross state product growth rate in 2014-15 that is lower than the Australia-wide GDP rate for the first time in nine years. The state, which has a 16% share of the national economy up from 13% a decade ago, is facing the significant challenge of navigating the aftermath of the commodity price and resource investment booms. The build-up in household wealth and income gains through the mining investment boom has driven a strong pipeline of housing construction. But the WA housing market will be challenged in the coming year by the negative impact of weaker net migration and softer labour market conditions. 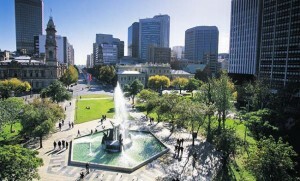 South Australia’s economic backdrop remains soft due to its exposure to manufacturing and the resources downturn. There is an investment drought, and instead of using up their spare capacity, firms are reporting that they have more of it. 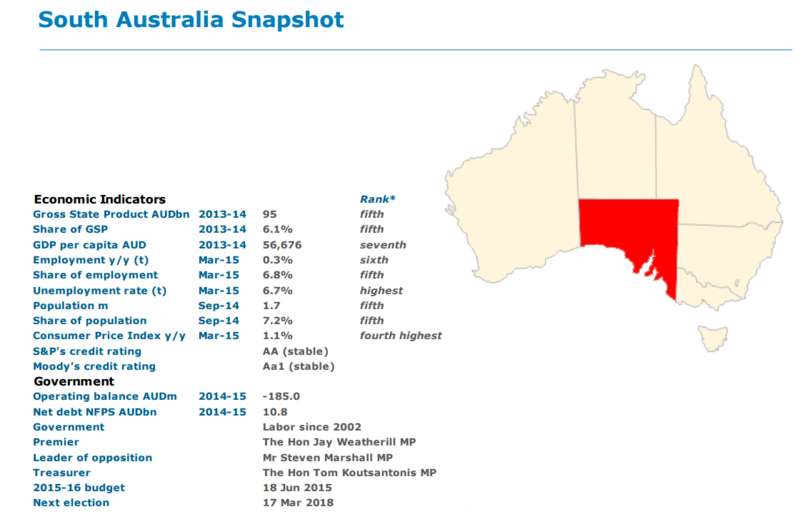 The lower AUD however is benefiting the state’s relatively large agriculture sector. South Australia’s housing market has continued to soften following the withdrawal of the First Home Owner Grant for established dwellings in mid-2014. Looking ahead, the housing market is likely to remain subdued in 2015, reflecting a soft economic outlook and largely ‘in balance’ market supply-demand fundamentals. 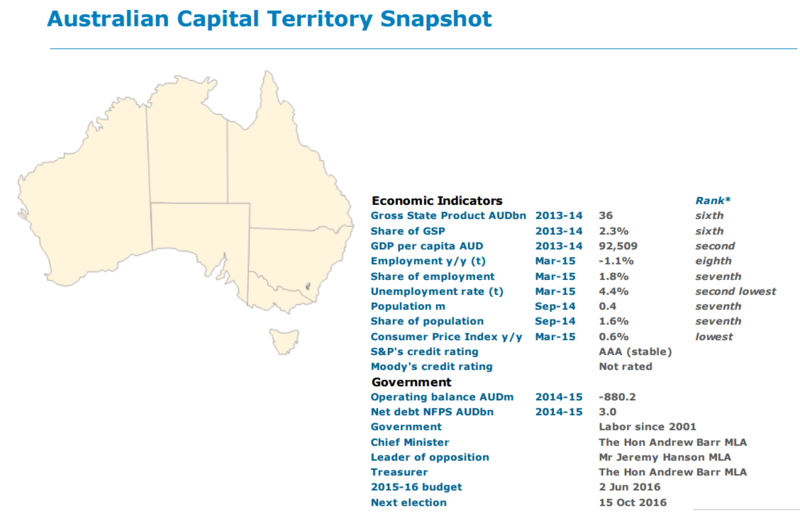 We expect the Australian Capital Territory economy to underperform for some time as it continues to deal with the impact of the Commonwealth Government’s fiscal consolidation. Our view is driven primarily by weak labour market fundamentals in the Territory. The unemployment rate has continued to trend upward, trend employment growth has declined, and the trend participation rate has been falling since around September 2012. The ACT’s housing sales remain subdued as the market works through the large housing supply additions of recent years. This trend is likely to continue to weigh on price growth through 2015, particularly when combined with slowing population growth. 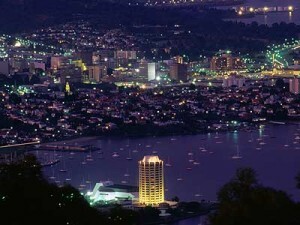 Tasmania has shown signs of improvement in a range of economic indicators. We expect its rebound to continue and forecast modest growth rates over coming years in line with the improvement in reported business conditions, higher levels of capacity utilisation and higher levels of employment. There is also momentum in the tourism sector which should improve along with other service exports as the AUD depreciates. Despite house price growth slowing in recent months, Tasmania’s housing market has broadly improved since mid-2014 with sales demand increasing and days on market falling. A more optimistic state economic outlook is expected to support sales demand and moderate price growth through 2015. 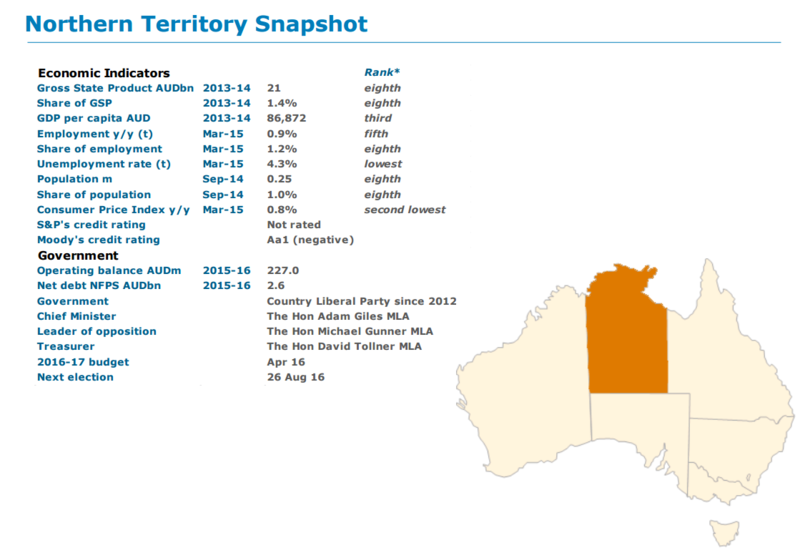 Growth has slowed slightly in the Northern Territory from unsustainable rates related mainly to major resources project construction. We envisage softer growth through 2015-16 as stimulus from the huge Ichthys LNG project continues to wane with first production expected in 2016. From 2016-17, growth will be supported by an increase in LNG production and exports but state final demand is likely to contract. 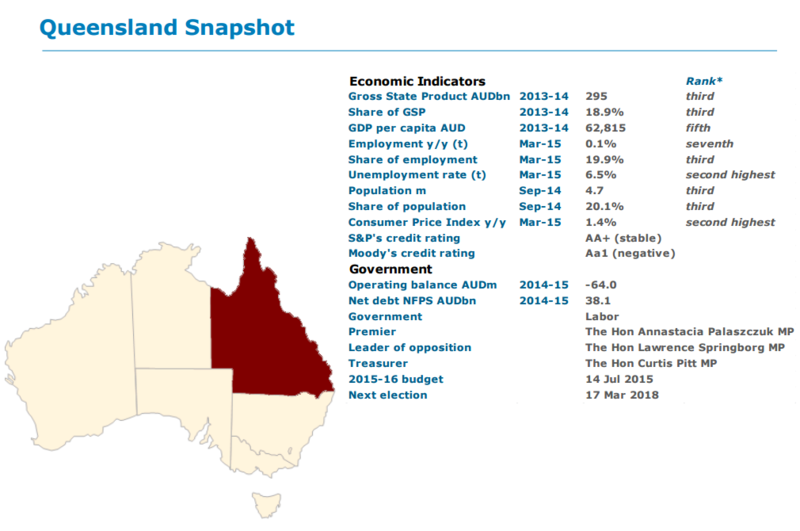 Having eased over the past six months on softer economic growth, the Northern Territory’s housing market is likely to remain a slave to broader state economic conditions through 2015, despite favourable housing affordability.